Cappelle, DeBlaey, DeBruyne, Deceuninck, DeClerck, DeCoene, DePaepe, DePuydt, Forret, Goethals, Grenier, Kerschieter, Lefevere, Maekelbergh, Pecceu, Robaeys, Salomez, Vanderhaeghe, Verhaeghe, Vermeulen, and many other Surnames. The "TSS Lapland" leaving Antwerp, Belgium, bound for New York with immigrants. 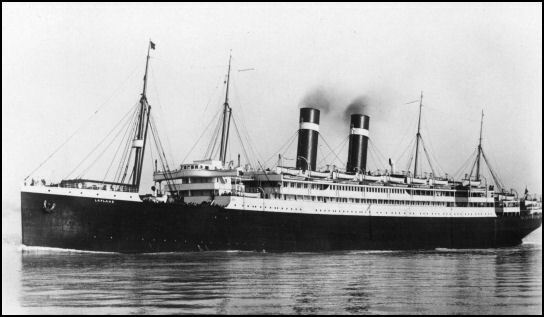 On July 29, 1911, Achille DeClerck and his new bride, Palmyra, left the Belgium port of Antwerp bound for America. They arrived in New York on August 7, 1911. For more pictures and a history of the Lapland, please click here.